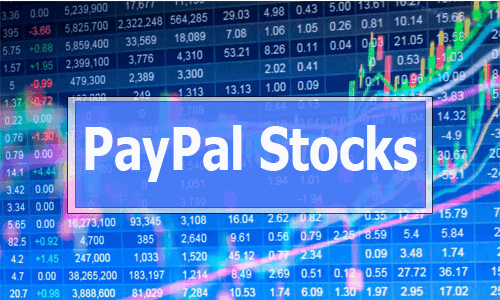 Business is growing for PayPal and also PayPal stocks has become a worthy investment. The mobile payments market bring a new wave of how people manage money. PayPal has grown since its transition to a digital payment space. It is unsure that they foresaw the digital transformation of the financial sector. This transformation is evident in the rise of Papal stock. A recent review of the company’s performance, valuation and strategy show that it is a good time to come on board. As retail and other sectors are now incorporating digital technologies as fast as they can. So that they can stay ahead in their sectors as well as serve a wider range of customers. PayPal has indeed come of age. 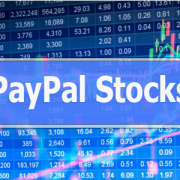 They now have the capability to see off rising competitions and go head to head with players, such as Visa Inc and Mastercard Inc.
And PayPal stocks has been doing a very good job. Since its spinoff, the stock is up more than 144% in the past 3 years. Year-to-date, its up 14% and has been pretty steady for the year. Scale: Tech companies generally strive from their scale. Tech company that pioneer a market sector usually stay ahead for a long term. Companies like Facebook and Amazon.com are difficult to topple. PayPal had 227 million annual active users in 2017 and a payment vol of $451 billion. Although PayPal is not as big as Alipay, that boasts 500 million monthly active users, mostly in China PayPal than most in the digital payment service. PayPal’s Purchase of iZettle: Earlier, PayPal bought iZettle (a European payments startup company) for $2.2 billion. This deal will certainly PayPal seek Paypal’s activities in the European market. PayPal overseas dominance has 64% of its 2017 revenue coming from the U.S. While iZettle has a presence in 11 countries, including Italy, Germany, Spain, France, Sweden, Brazil, and Mexico. This deal will only increase Paypals business and revenue. it is estimated that over half a million merchants in these are bought over in this change. 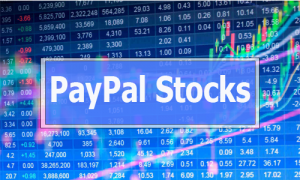 PayPal stocks are surely not coming down with a deal such as this. Overseas Expansion: PayPal is looking to do more in countries by bringing payment services to countries like India and in Africa. PayPal launched in India in November 2017. New move for PayPal but with partnerships all over, they surely are set to go beyond borders. In line with expansion goals, PayPal has invested in Pine Labs, one of the top companies in India. Pine Lab’s annual transaction volume is $15 billion and has customers such as Nike, McDonald’s and Sony.